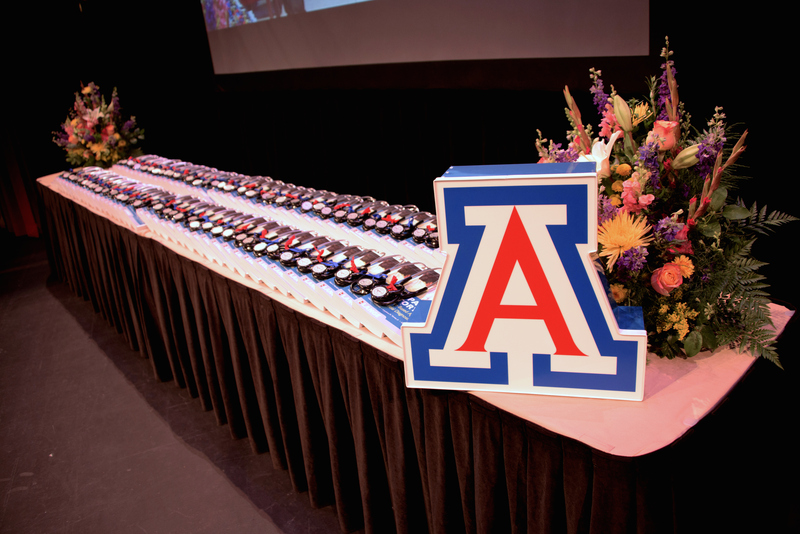 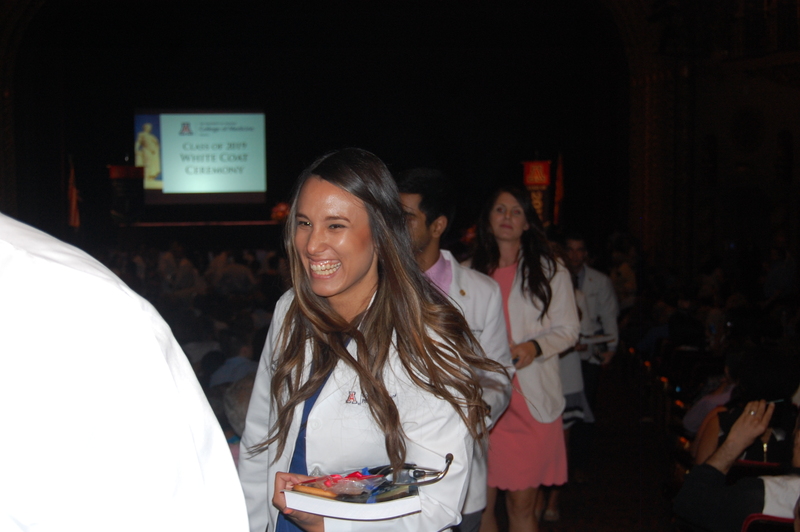 Before the start of the University of Arizona's regular academic year on Aug. 24, a group of 80 students symbolically entered the medical profession with the annual White Coat ceremony, held at the College of Medicine – Phoenix. 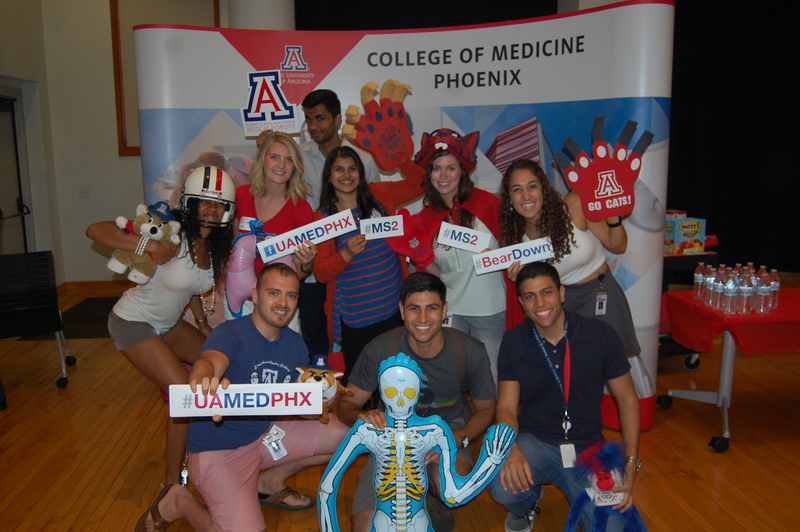 The ninth class of first-year medical school students on the downtown Phoenix campus completed orientation and participated in the traditional event at the Orpheum Theatre. 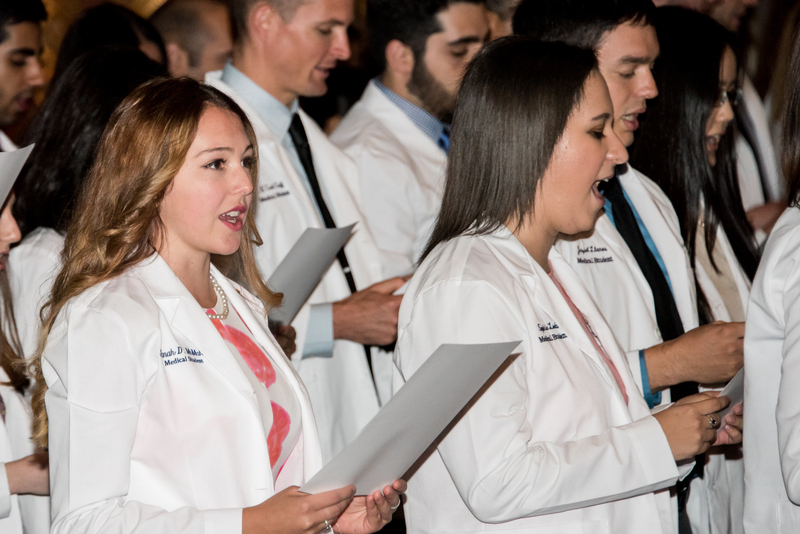 At the ceremony, each medical student received a personalized white coat, a stethoscope and "The Patient History: Evidence-Based Approach to Differential Diagnosis." 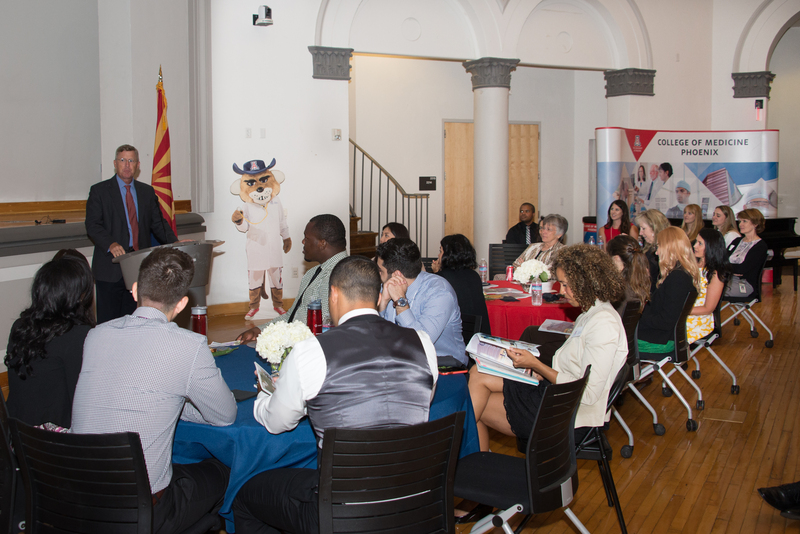 The textbook was provided by District Medical Group. 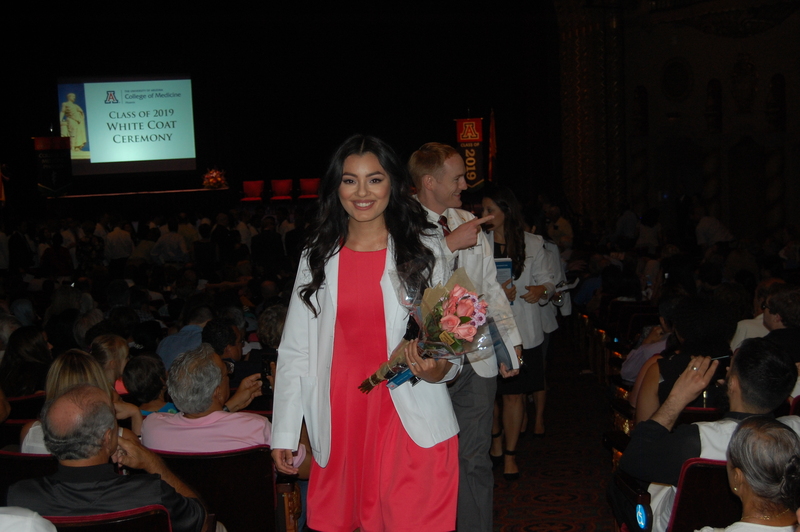 The stethoscopes were sponsored by Banner Health, and the white coats were provided through a sponsorship program. 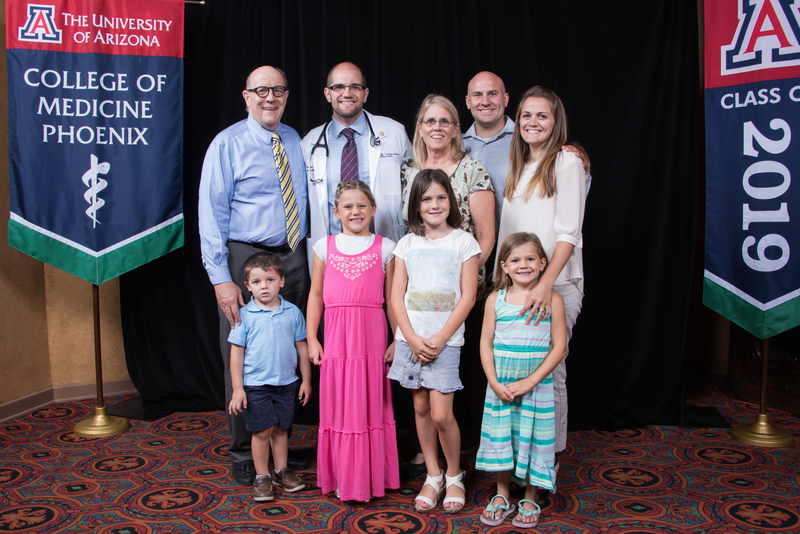 The expansion to Phoenix of the long-standing medical school in Tucson came about with the recognition of the growing physician shortage in the state's two largest cities, as well as in the rural areas. 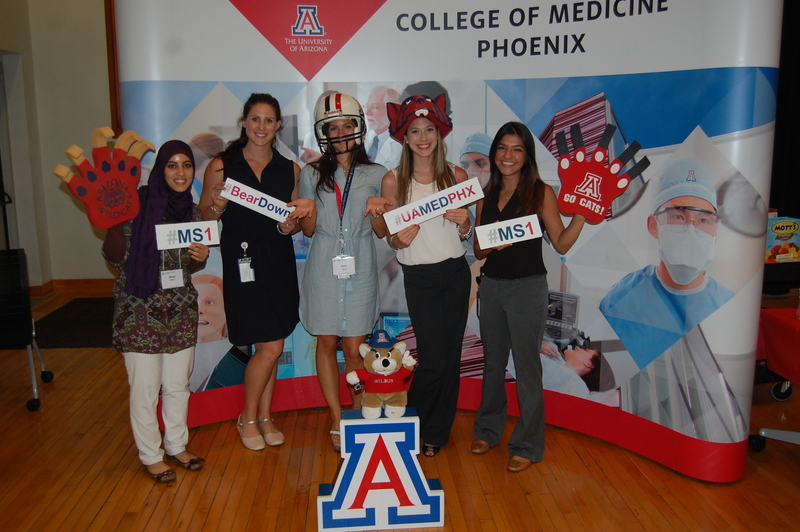 The new Phoenix campus has graduated 250 physicians over the last four years, about half of whom are doing their residency training in Arizona.